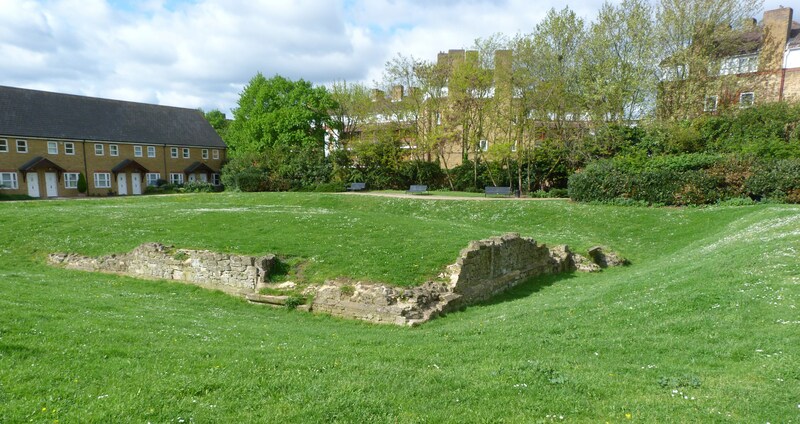 Rotherhithe was first recorded as Rederheia in around 1105, and as Rotherhith alias Redderiffe in 1621. It takes its name from the Old English “redhra”, meaning mariner, and “hyth”, meaning haven. 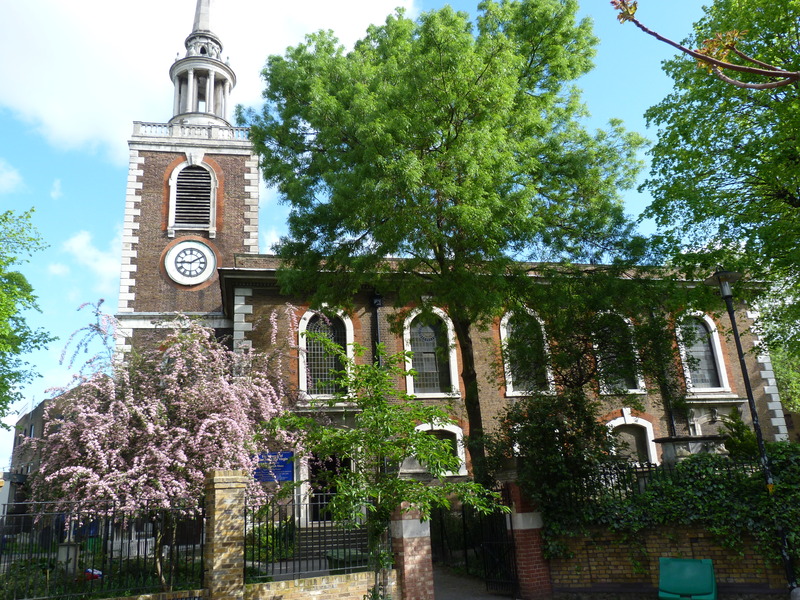 Rotherhithe appears to have been a small settlement surrounding the church of St Mary in the Medieval period, when Edward III had a retreat on the river here, built in 1349; and then to have undergone a major phase of development in the Post-Medieval, when a timber wall and number of yards were built along the river-front. 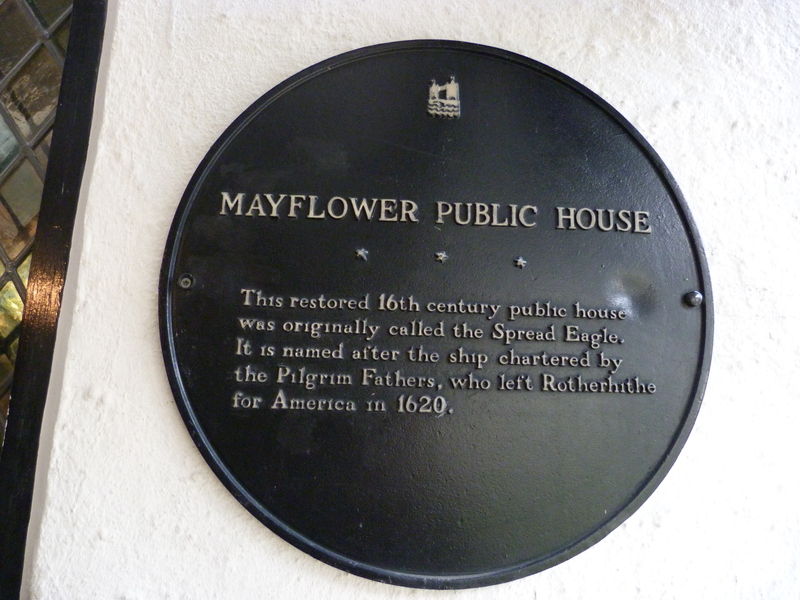 The Mayflower set sail from here in 1620 for Plymouth and eventually the Americas. 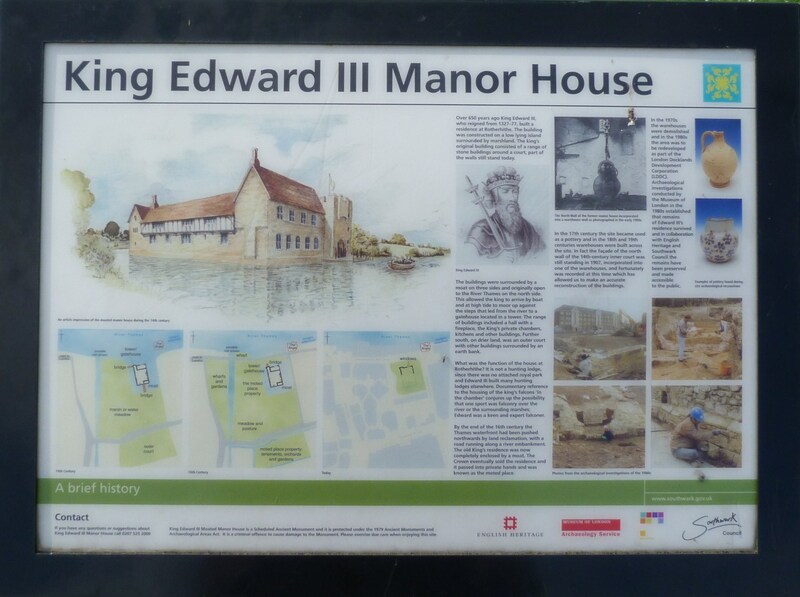 Among those on board was one Dorothea or Dorothy Bradford, nee May, a distant relative of mine, on a different branch of the family tree, similarly descended from Robert Belknap (1330-1401). 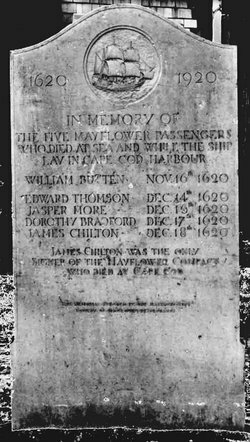 Dorothea drowned when she slipped or, according to one account, jumped overboard from the Mayflower off Cape Cod on December 17th, 1620 (an incident recalled in Adrian Tinniswood’s excellent recent book “The Rainborowes”). Her widower William Bradford went on to become the Governor of the Plymouth Colony (and also, incidentally, to write its first history). 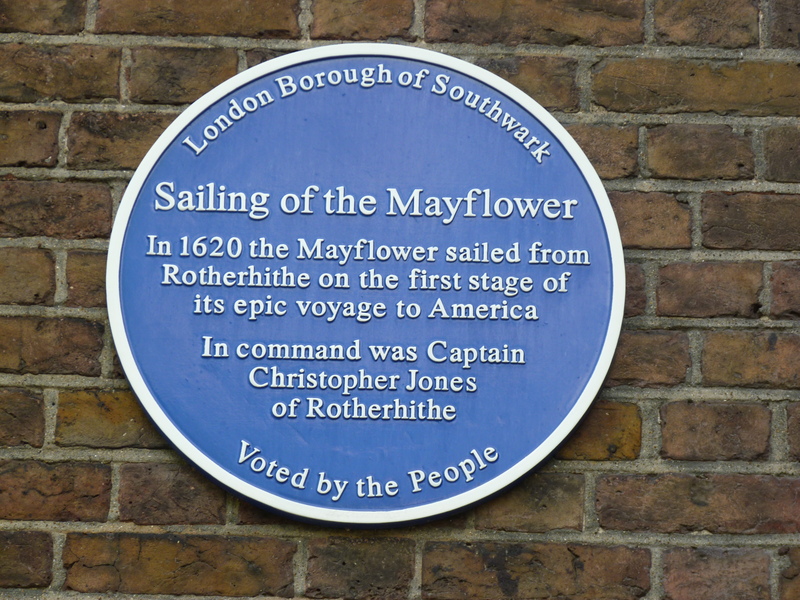 This entry was posted in 17th Century London, Far flung London, Maritime London, River Thames and tagged Rotherhithe, The Mayflower on February 5, 2014 by Bob Jones - The Lost City of London.